This April marks 4 years since the TokyoTreat Japanese snack box subscription first started. We want to say a big thank you to all of our new and long term subscribers who've been supporting us along the way! As a way to celebrate, we're doing 4 weeks of FREE giveaways! What better way to celebrate an anniversary than free gifts right?? Each week we’re giving away a new prize until the end of the month so stay tuned for new chances to win! 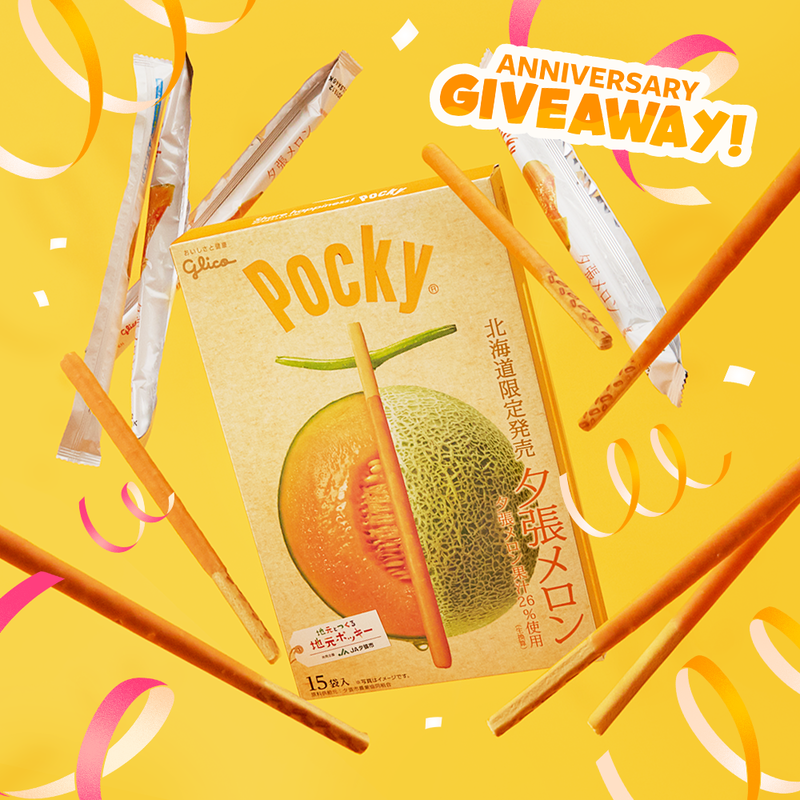 The first week of TokyoTreat Anniversary Giveaway has ended on April 7th and it is time to announce the lucky winner who will get to enjoy a Giant Melon Pocky! This is no ordinary pocky, it’s GIANT pocky!! This pack of super sized pocky contains 15 biscuit sticks coated in delicious melon flavored chocolate! We are definitely adding this to our list of must try melon snacks! The winner will be contacted directly by our team to claim their Prize. Enter to win the next prize: Kit Kat Anniversary Assortment Box! For those who have not won yet, fret not: TokyoTreat Anniversary Giveaway Week 2 has started on April 8th and it will run until April 14th! The next winner will enjoy 35 different Japanese Kit Kat flavors in one big assortment box! Try the Strawberry Cheesecake, Purple Sweet Potato, Shinshu Apple, Pistachio and Raspberry, Momiji Manju and 30 other delicious flavors! How many Japanese Kit Kat flavors have you tried? You still have 7 days left to raise your entries and get a higher chance to win a FREE Kit Kat Anniversary Assortment Box! The more times you enter, the higher your chance to win! Be sure to follow us on Facebook, Instagram, and Twitter to keep up with the giveaway updates and stay in the loop about the upcoming prizes!